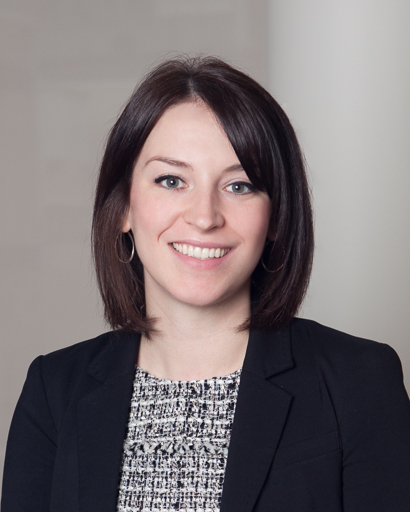 Erin Doyle joined Kralovec, Jambois & Schwartz as an associate in 2012. She practices in the areas of medical negligence, wrongful death, personal injury, motor vehicle negligence and product liability. Erin has been recognized for her outstanding work and professional successes within the legal community. She has been selected as a “Rising Star” by Super Lawyers. This is an honor given to no more than 2.5 percent of Illinois attorneys under the age of forty. Prior to joining the firm, Erin worked as an associate at Parrillo, Weiss & O’Halloran, concentrating primarily in personal injury defense. She has successfully tried over 75 civil jury trials to verdict. In addition, she has represented clients in over 150 arbitrations within the Cook County Mandatory Arbitration Program and AAA binding arbitrations involving uninsured and underinsured motorist claims. Erin graduated from Southern Illinois University School of Law in 2007, after earning an undergraduate degree at Saint Louis University in 2004. While in law school, she was a member of the Southern Illinois University Law Journal.